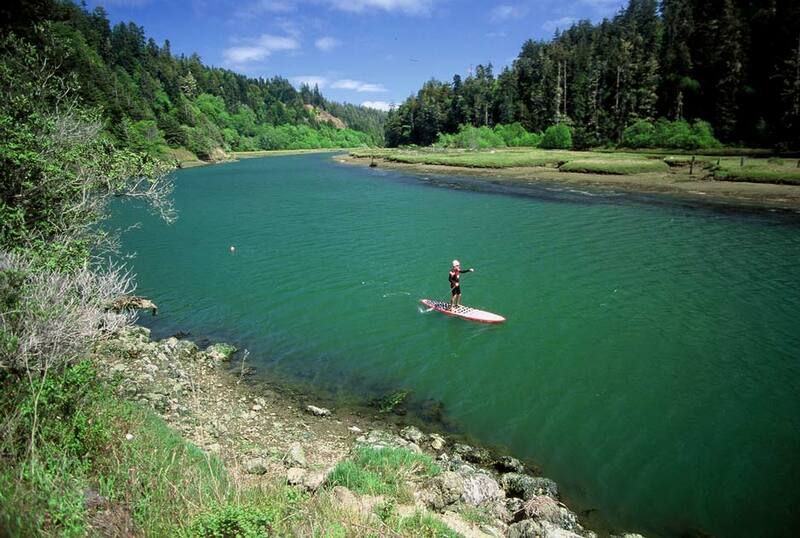 Our family here in Mendocino embraces all ways of maintaining the watersports lifestyle. “Hoe he'e nalu,” or Stand up Paddling has its’ heritage in Hawaii , but has spread rapidly to all corners of the globe. It allows a high viewpoint, great core workout and a perspective unlike any other. The wide and stable board supports paddling in a sitting, kneeling, prone, or standing position. 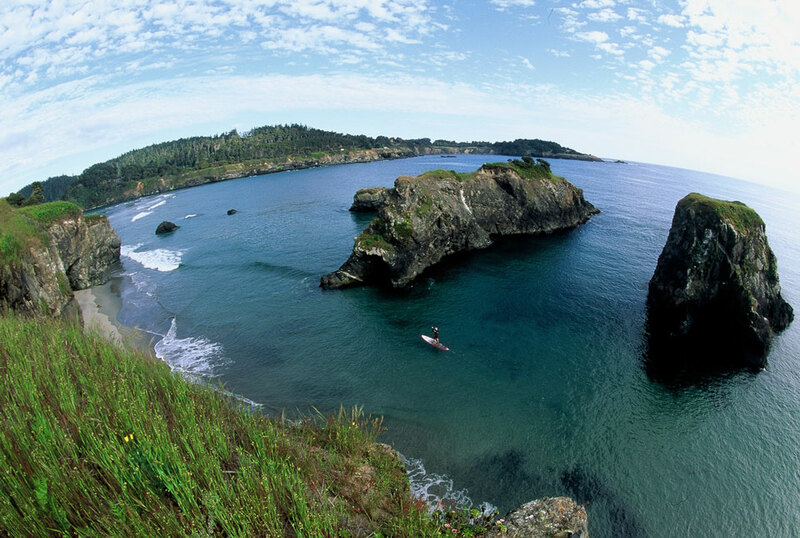 We offer intruction , guided tours and rentals at Van Damme State park in Little River, as well as all the great paddling locations on the Mendocino coast. 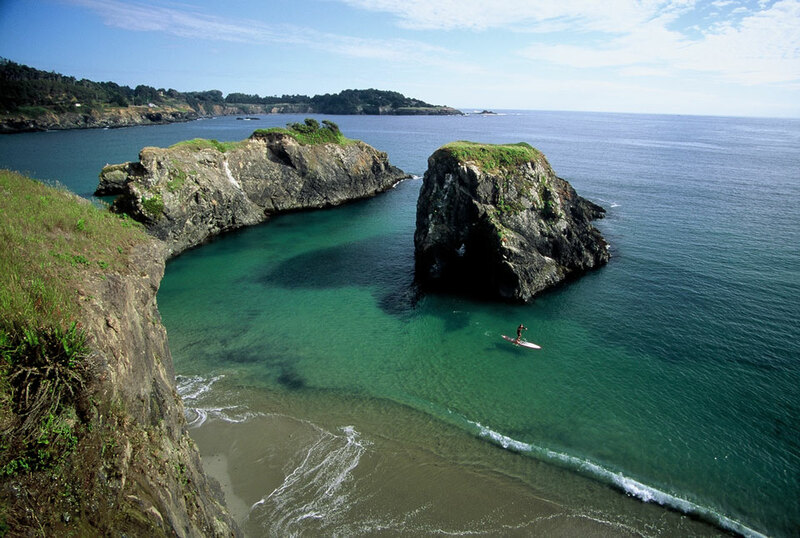 Choose from many of the great rivers such as Albion,or Ten Mile, or check out the caves, rock gardens and headlands of Caspar, Albion, or Mendocino. Our over 50 years of experience on the water will keep you safe and amazed at the unique geological formations and marine life that surrounds us. If surfing is your thing or you wish to get started riding waves, we can get you out there to capture the wave energy and have the thrill of your life. 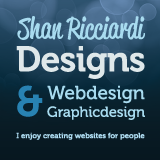 All equipment provided and transportation if necessary. We are family friendly, dog friendly and offer group rates and private excursions. Please call for reservations and further information. Hope to see you gliding across the water soon. Leaving Van Damme cove, our first 2 caves are filled with sea stars and vibrant algaes. 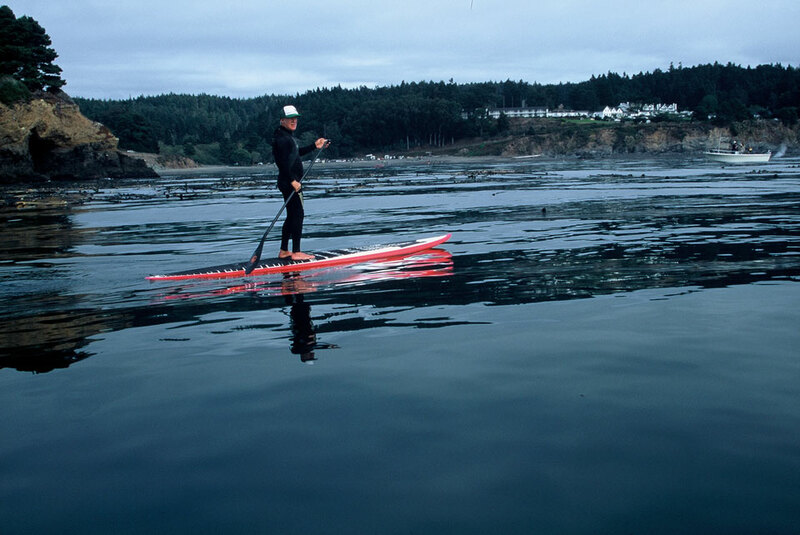 The paddling is smooth and easy and the naturally formed channels allow us to stay well out of the wind and surf. We round the corner and exchange looks with Harbor Seals, viewing them in their pure and natural state. Heading north and hugging the sandstone cliffs, the black oyster catchers screech and call each other to announce our arrival and their meal for the day. Narrow coves and passageways lead over the clear blue green shallow water as we make our way towards our last cave. Two dark chambers stretch eastward and let us savor different views of the openings. Colorful invertebrates make their home here and the dripping fresh water offers a cooling rinse. One more cove and channel and we turn around and paddle and float easily back with the current. 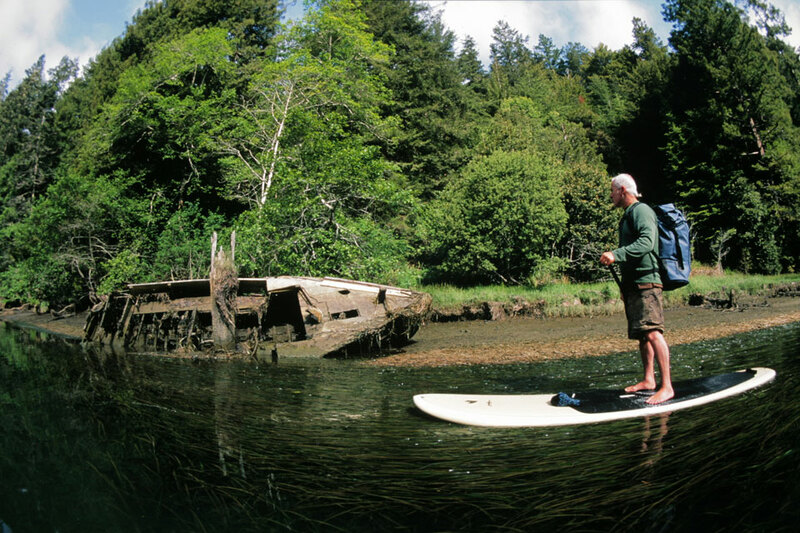 The pristine Albion River is our trip for when the Ocean is too rough for caves, channels, blow holes and rock gardens. This gently flowing historic waterway offers viewing of birds such as Heron, Cormorants, Osprey, Ducks and Kingfishers. harbor Seals bask on exposed Islands and swim about curiously observing our kayaks. Paddle by unique houseboats and let the quiet of solitude melt into our hour and a half experience. 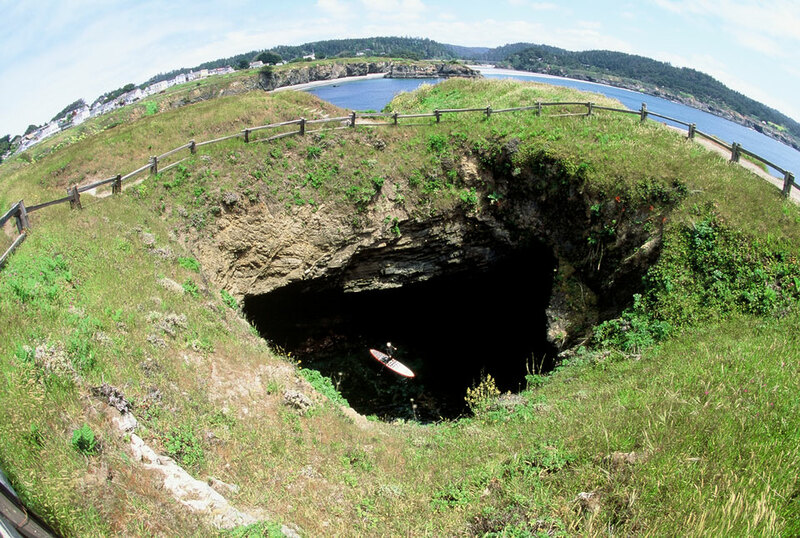 On the right day, the coves and caves off of historic Mendocino are out of this world. 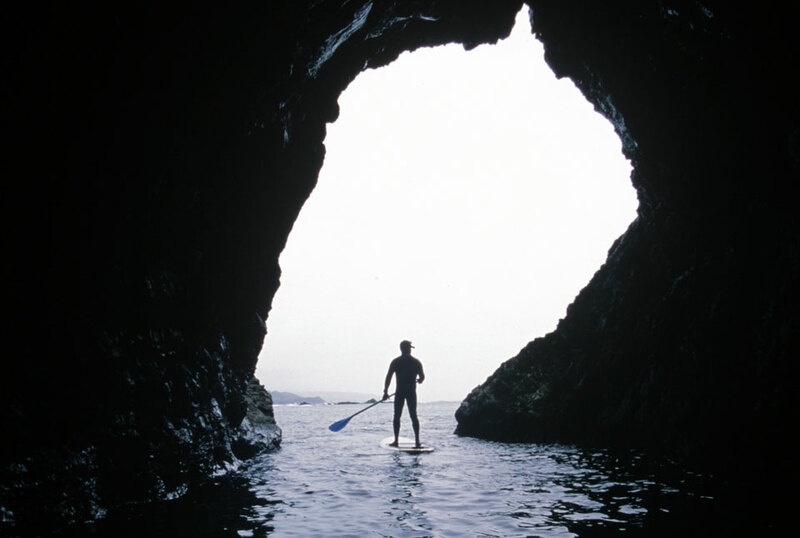 We can paddle through giant keyholes, check passage ways around headlands, observe seals, and shorebirds, and take in all the beauty that surrounds us. This tour is for Intermediate paddlers and above. A number of access points offer easy entry, and a guaranteed stoke is easily served up. Since we have been surfing for over 40 years, SUP surfing comes as natural to us as Jelly goes with Peanut Butter. We can accommodate all skill levels and find the perfect place to teach you or challenge you. Sessions are $50 an hour and include all the gear and Instruction.